Smart SoftPLC's are versatile Programmable Automation Controllers (PACs). 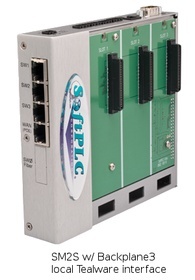 All features of the SoftPLC Runtime Control Software are included. Users have virtually unlimited capacity for program logic and data table, data logging, recipes, etc. Plenty of communication ports with configurable drivers and I/O interface options make Smart SoftPLC's perfect for a wide range of control applications, as well as performing communication gateway (protocol conversion) functions. Note: Smart SoftPLC uses TOPDOC NexGen software for programming, configuration and troubleshooting. A free TOPDOC NexGen license is included with your first Smart SoftPLC purchase! 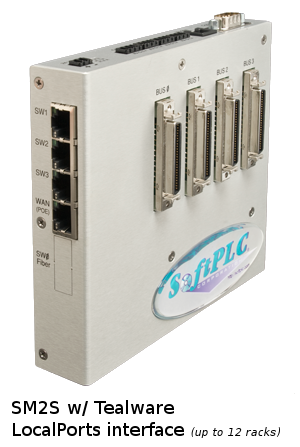 All Smart SoftPLCs include all supported serial and ethernet protocols as standard, configurable in any mix. 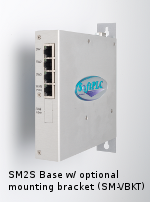 If you desire support for Allen-Bradley Data Highway Plus (DH+), Remote I/O (RIO) and/or CAN, these must be factory installed - specify them above for COM5 and/or COM6 options. Select any desired remote access and/or virtual HMI features. If the remote access connection will be other than wired Ethernet, an external modem/interface is required. 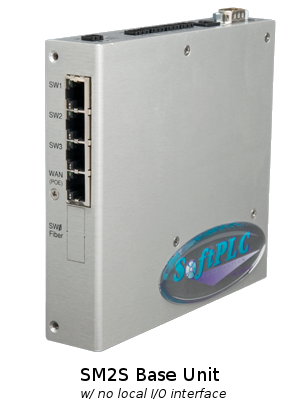 See Modems/Wireless for options, or contact SoftPLC to discuss TagWell cloud-based solutions and approved third-party interfaces. The Size only applies if you are using ModbusTCP Master, Ethernet/IP, local Tealware I/O, A-B RIO or DH+ protocols. Select the Lite (LT) version if you are not using these protocols.